In 1976, the fledgling Industrial Light and Magic was slaving away creating the ground-breaking special effects shots for Star Wars. Director George Lucas, on the other hand, was busy fretting over his company's ability to get the film in on time and under budget. 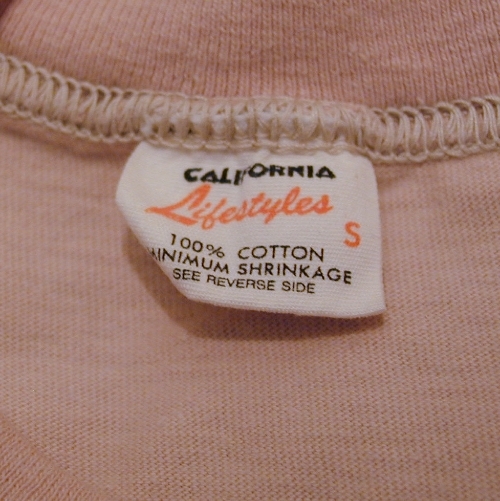 It was a pretty crucial period for Star Wars and for the film industry in general. 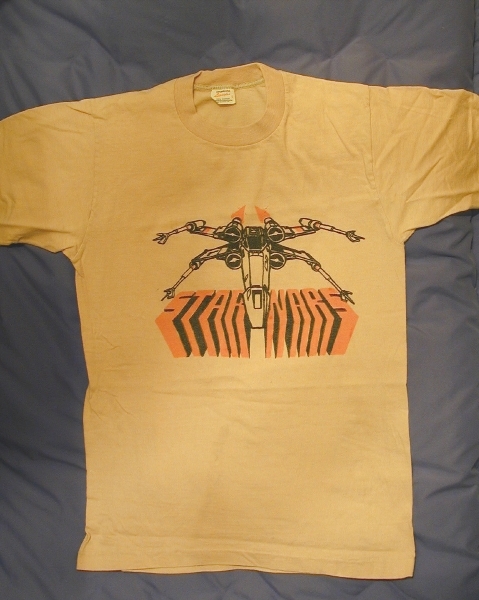 Anyway, the shirt you see here is one of the earlier pieces of apparel creatd for the ILM crew. 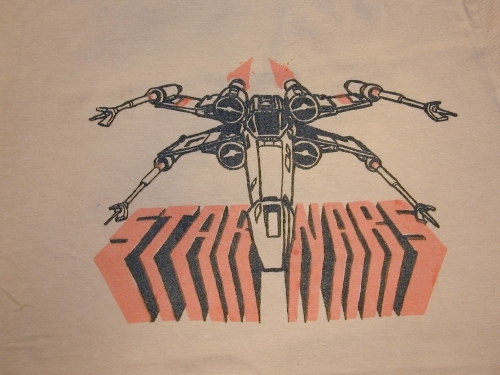 It shows one of the principal subjects of their model-making efforts, the X-Wing Fighter, as well as an improvised Star Wars logo (the design that would become the official logo of the film had likely not been created yet). 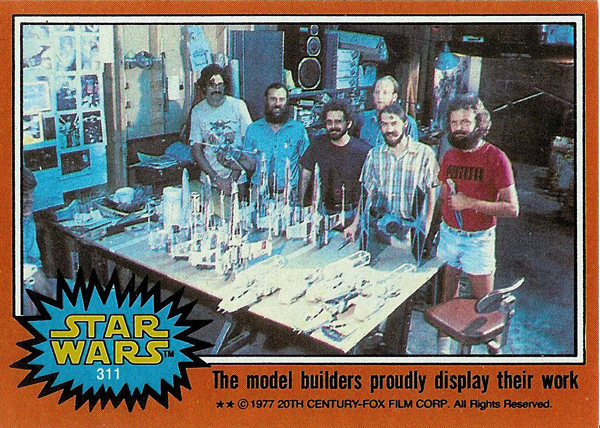 Note the early ILM crew member wearing a t-shirt matching this design at far left in the Topps trading card image above.